If you’re a social media manager or a small business owner looking to supercharge your Facebook content strategy, then you’ve come to the right place. Developing high-quality content for Facebook can be tough when you’re managing everything by yourself. It’s easy for big corporations with big budgets to design unique and beautiful content to grow their Facebook pages, but how can you afford the time to craft each post? You don’t need to spend hours creating awesome content for your Facebook page. Try these Facebook mockup templates and you’ll be able to easily create a proper content strategy for your Facebook promotions without even having to hire a graphic designer. This is one of our favourite Facebook page mockups, as it’s super up-to-date (at the time of publishing! ), contains plenty of different elements to customise, and has a pixel-perfect design. Exactly what you’d expect from Anthony Boyd, a superb mockup creator. 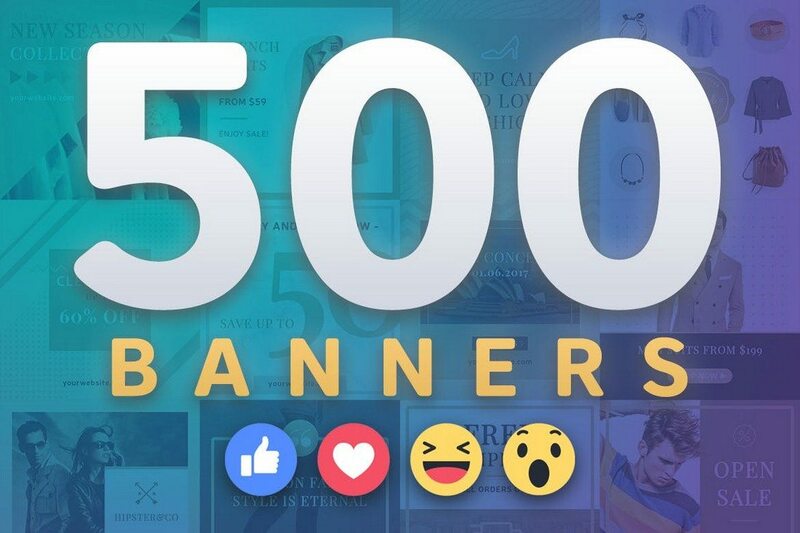 Let’s start the list with a massive bundle of 500 Facebook banner mockups. 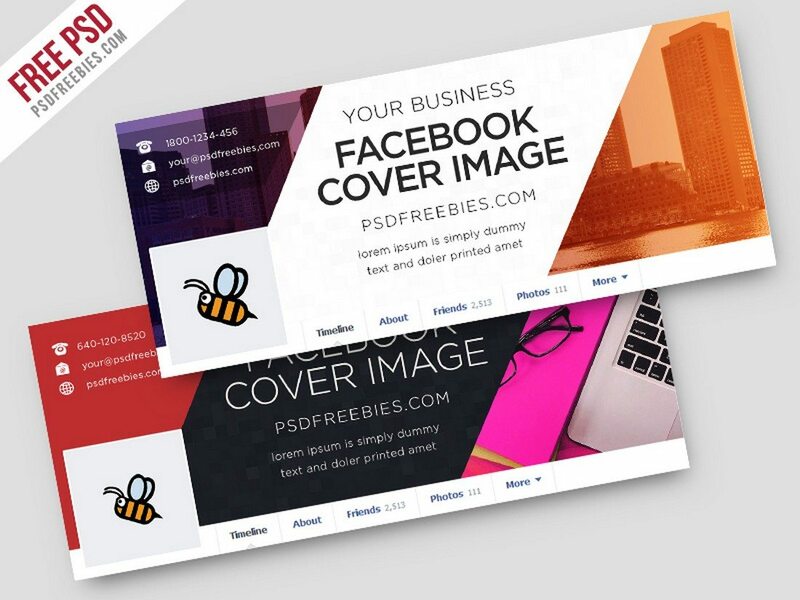 The pack includes 50 unique Facebook banner designs, each in 2 sizes and 5 different color schemes. You can use these for promoting different types of businesses and brands on Facebook. This beautifully designed Facebook cover has everything you need to perfectly showcase your business through your Facebook page. The template is fully-layered so you can easily edit the PSD to customize the design. You can download this template for free. If you’re planning on creating a Facebook page for a business, this pack of Facebook cover mockups will come in handy. 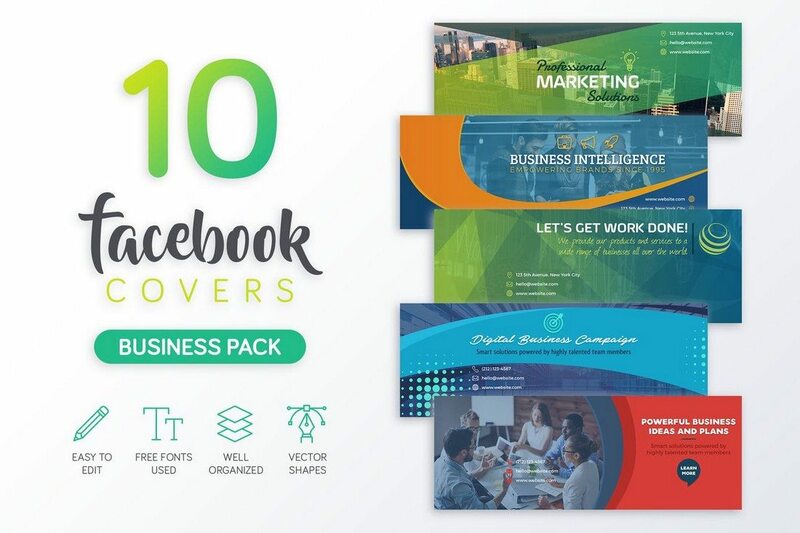 This bundle comes with 10 modern business related Facebook covers, which you can use to give your Facebook page a professional look. A fully-customizable Facebook cover template for a small business or a corporate brand. You can use this template free of charge. 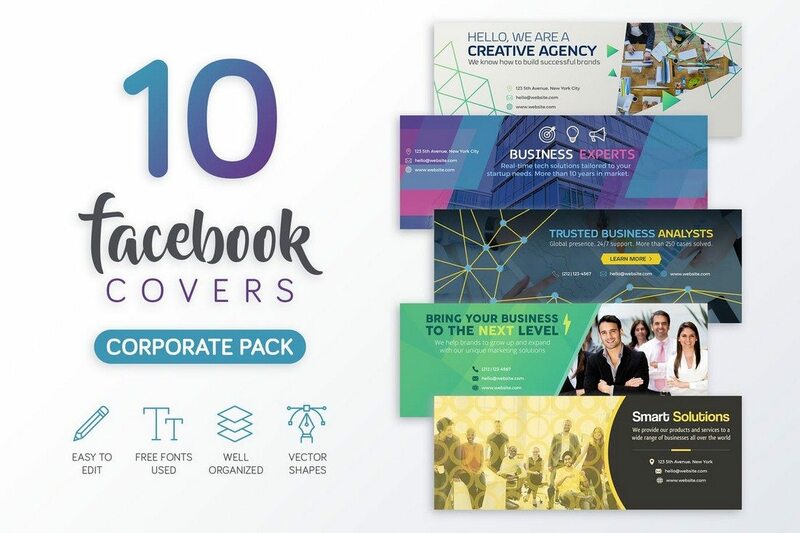 This bundle of Facebook covers comes with 10 unique designs for creating pages for corporate businesses, agencies, and marketers. 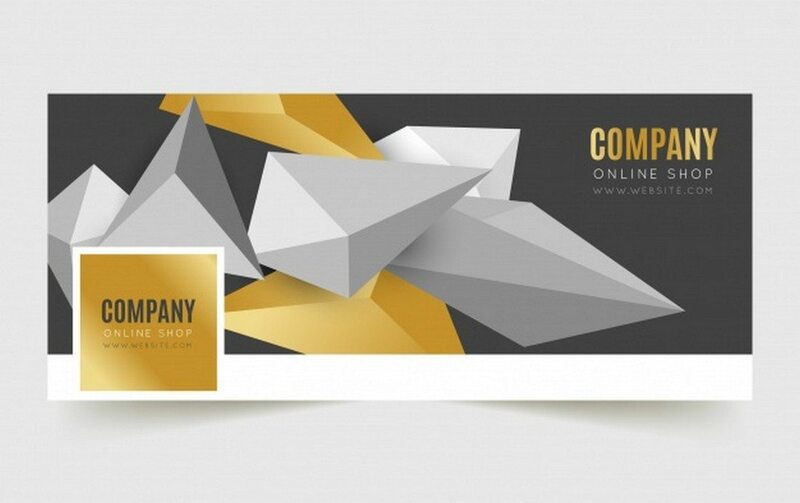 Each template in the pack features designs specially made to give a creative look to corporate brands. This is a cover template that’s ideal for a personal brand or a freelancer Facebook page that promotes professional services. It’s also perfect for a photography page as well. Creating branded content for social networks is one of the most time-consuming tasks you have to handle. This pack of multi-purpose social media post designs will definitely make that job easier. The bundle includes 16 social media post templates that you can use on Facebook, Instagram, Pinterest, and even on blog posts. Working on creating a Facebook page for a gym? 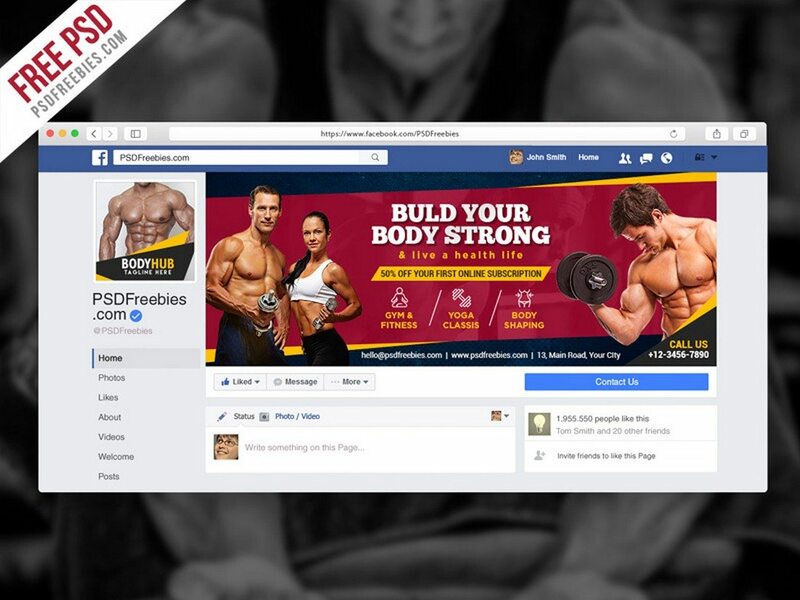 Then you can use this stylish template free of charge to give your fitness or gym Facebook page a professional look. Are you planning on running a promotional campaign on Facebook to promote your fashion related business? Then here are 10 professionally designed banner templates to create stylish posts for your campaign. 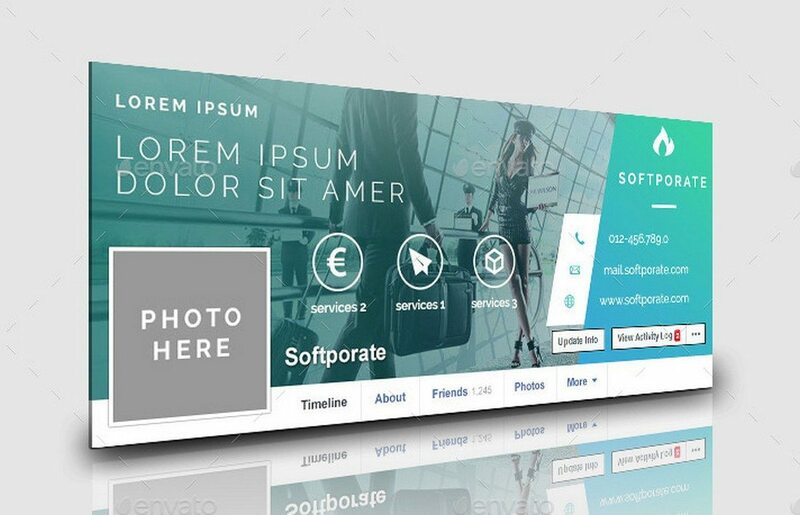 The pack includes 10 unique post layouts in fully-layered PSDs. A simple Facebook cover mockup with a modern abstract design. 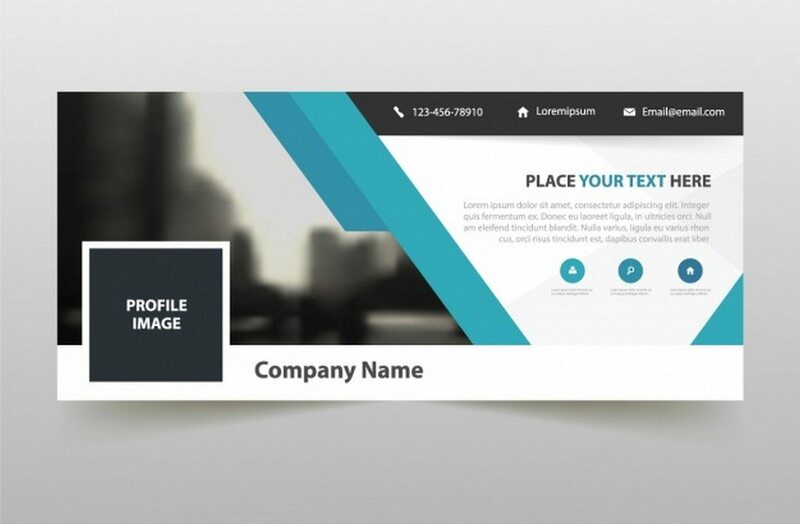 This free template is designed for brands, online stores, and small businesses. The Facebook page of a real estate business has to be just perfect in order to get the most attention from the followers. Use these Facebook covers to show professionalism through your Facebook page. 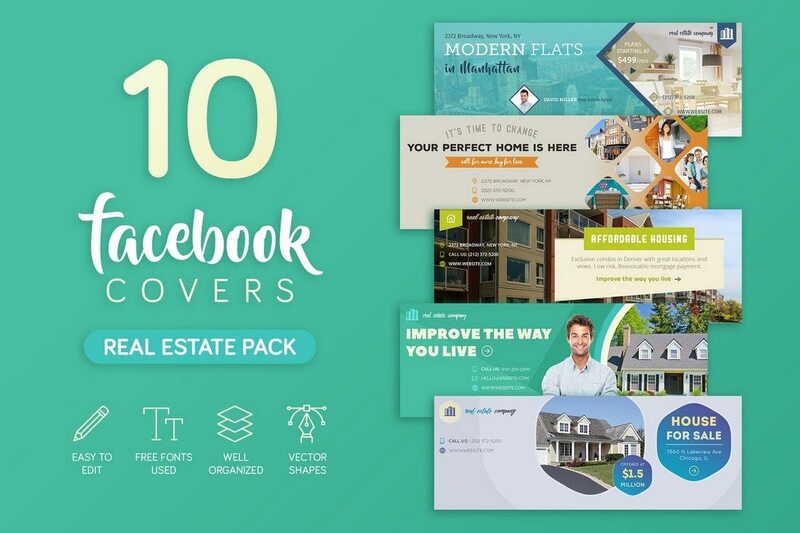 The pack comes with 10 unique Facebook cover designs designed specifically for real estate businesses. 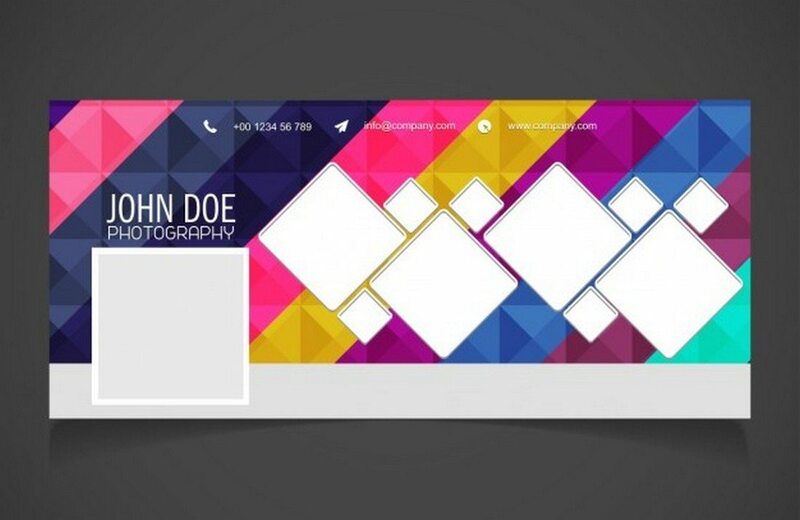 This unusual Facebook cover template is mostly suitable for personal or professional services Facebook page. The Free PSD file comes fully layered for easy editing. 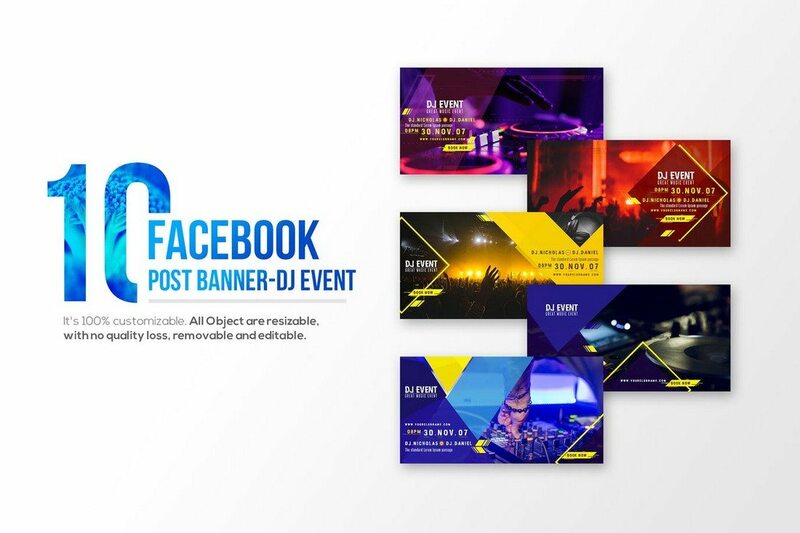 The Facebook post templates in this bundle are ideal for promoting DJ, bands, concert, or music related businesses or events on the social network. The pack includes 10 unique banner designs in different styles. Each template comes in fully customizable PSD files as well. A Facebook cover mockup template for a business Facebook page. This template also comes with enough space for you to educate your followers about your business and include information about your brand. 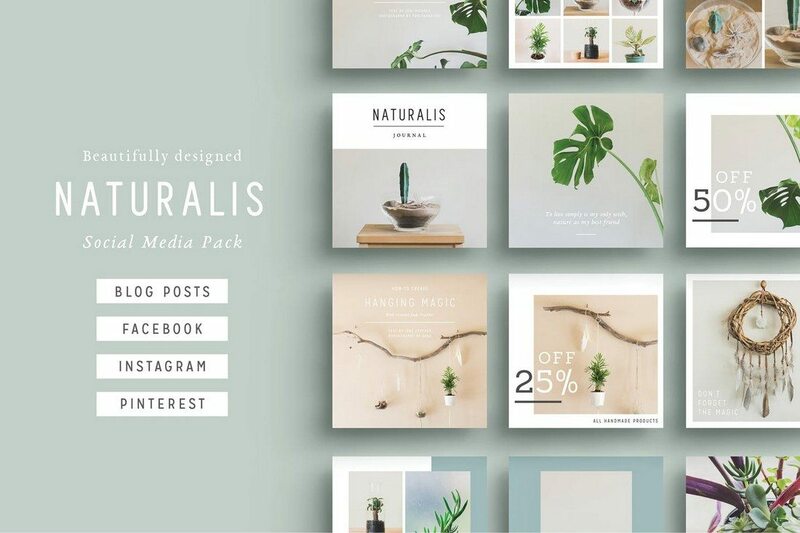 This bundle of social media post templates comes with nature-inspired post designs. You can use these templates to promote your posts on multiple social networks, including Facebook, Instagram, and Pinterest. It features over 32 different post designs. 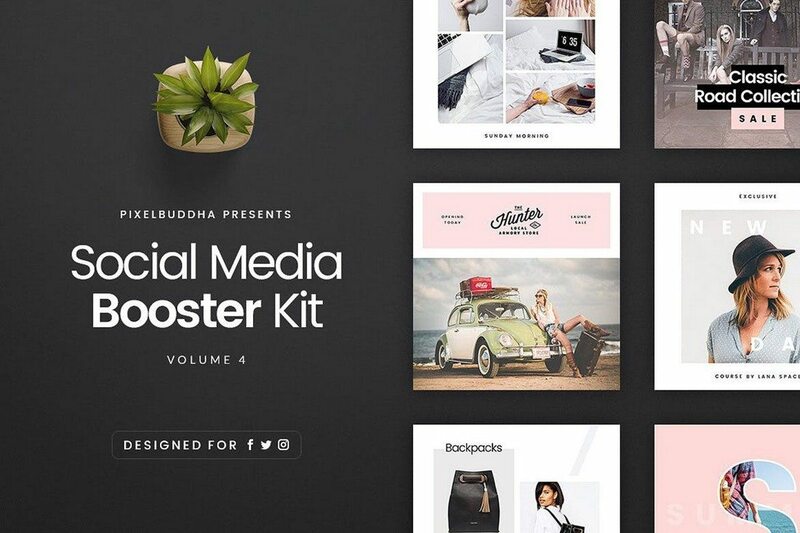 This is a pack of 15 post design templates for Facebook, Instagram, and Twitter. 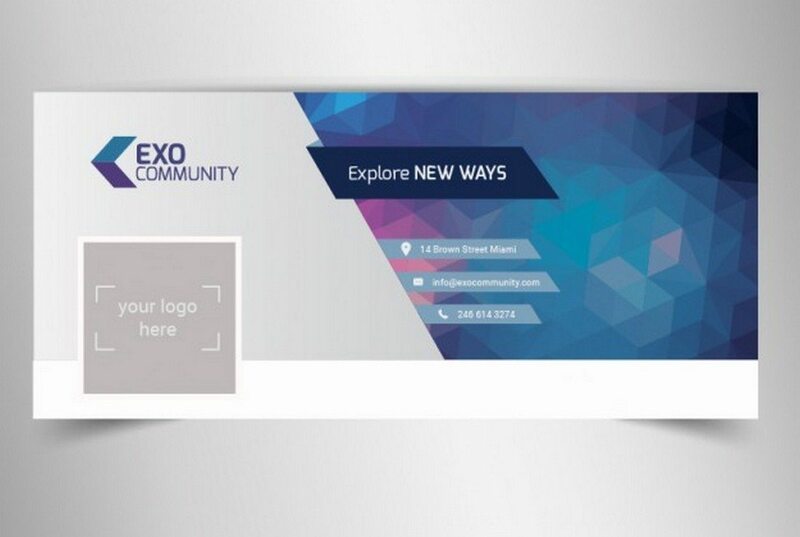 Each template features a modern and a minimalist design to help you promote your brand or business on social media. Each template comes in 3 different sizes to fit different social networks. This is another free Facebook cover template mostly suitable for small businesses. 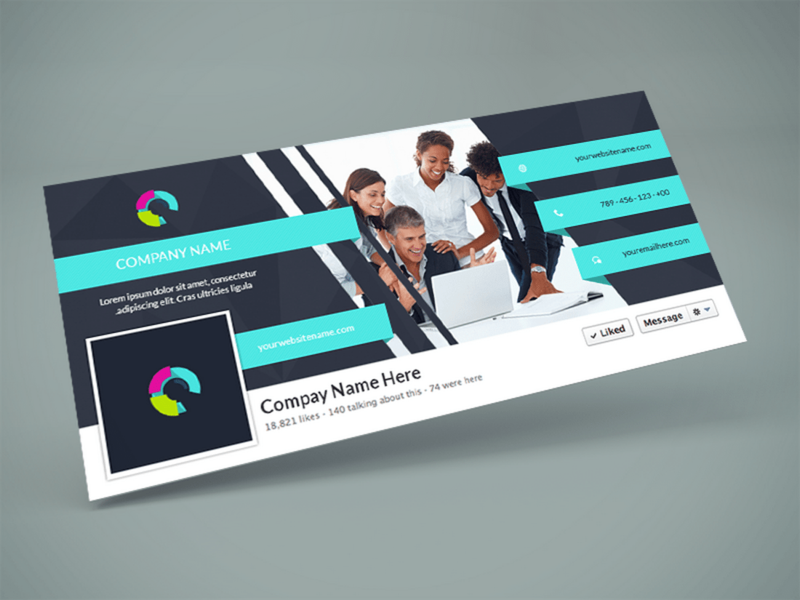 This template comes with placeholders for easily editing and customizing the template with your own details. If you’re a photographer or a business related to photography, these stylish Facebook covers will be useful when you’re creating a Facebook page for your business. 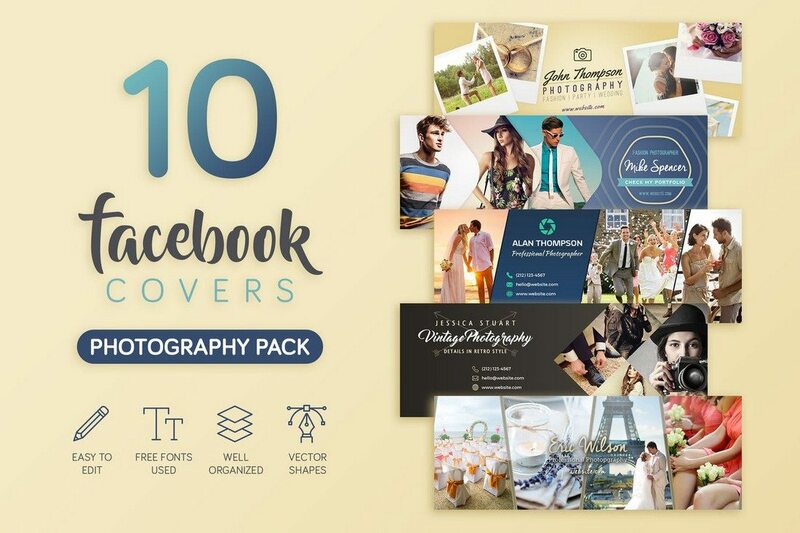 It comes with 10 unique Facebook covers designed for photography related businesses. 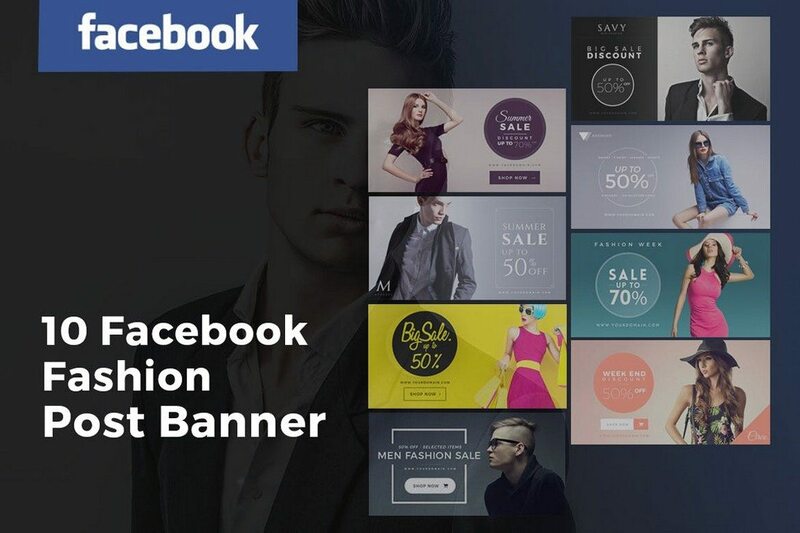 A pack of Facebook banner templates you can use to create ads, posts, and event campaigns to promote your business on Facebook. This bundle features banner designs in 7 different styles and a total of 28 template files. 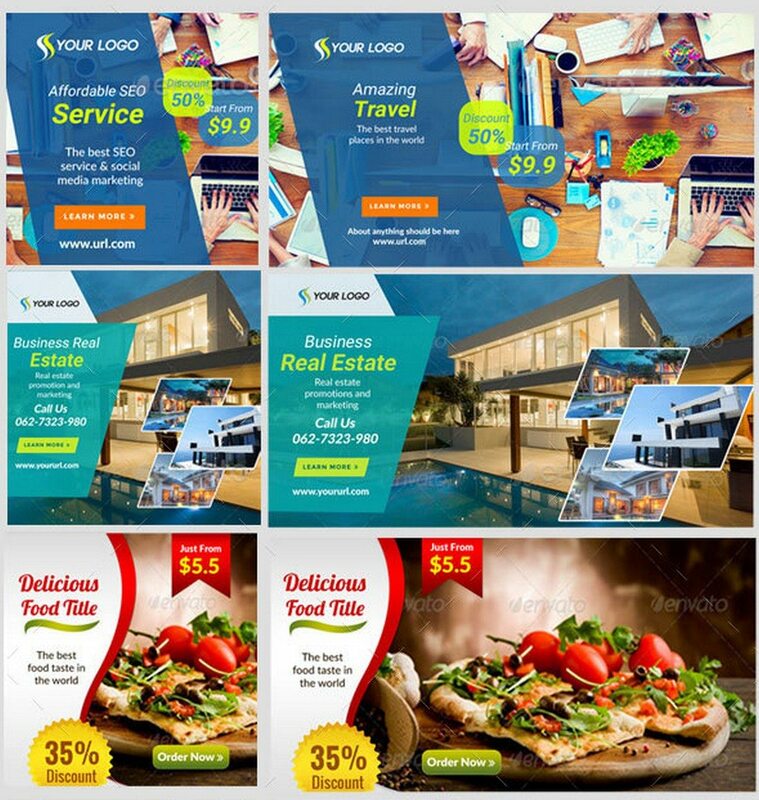 The templates in this pack are designed for small to medium businesses. It features 6 unique designs in fully-layered PSD files, which you can easily customize to change colors and the images to your preference. Another pack of professionally designed Facebook cover mockups for creating pages for online stores and modern clothing stores. The bundle includes 5 different cover designs in PSD files. 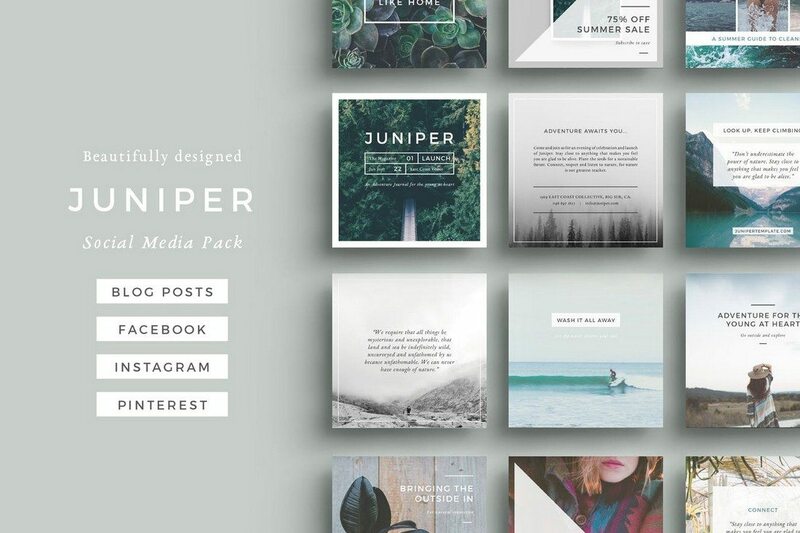 This is a massive bundle of Facebook and Instagram post templates. 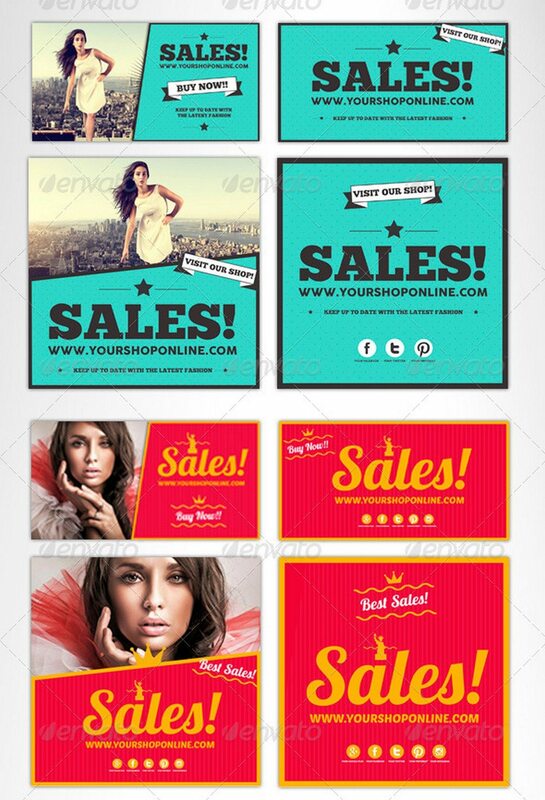 The pack includes 100 templates, in both square and rectangle banner designs you can use to promote your business on both Facebook and Instagram. Check out our other mockups collections to find great website mockups, iPhone mockups, and MacBook mockups to promote your apps and products.